Nikki joined us for a 1/2 day charter on the Ruckus on 10/18/09. 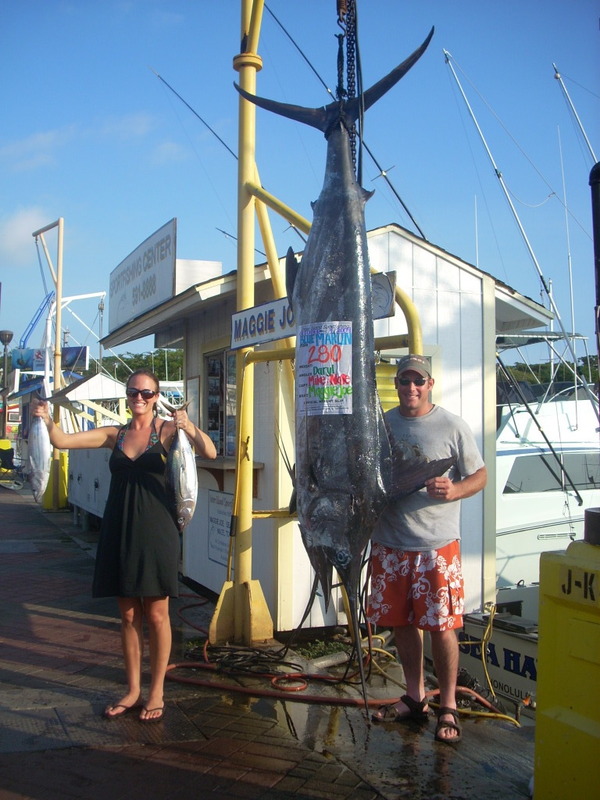 In the short time aboard, Nikkie looked like a seasoned sport fishing veteran as she hauled in this nice 35 lb. 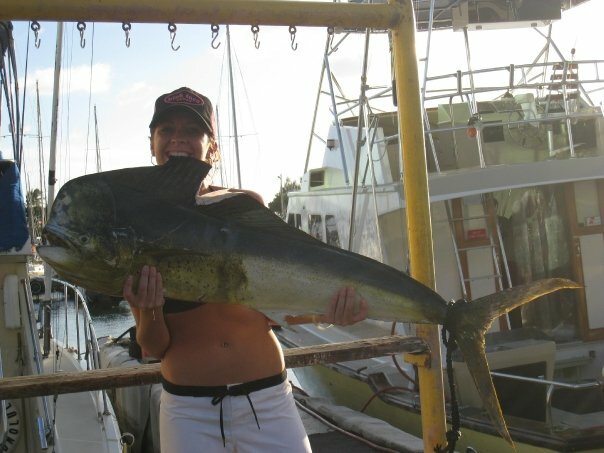 Mahi Mahi bull. Mahalo for joining us! 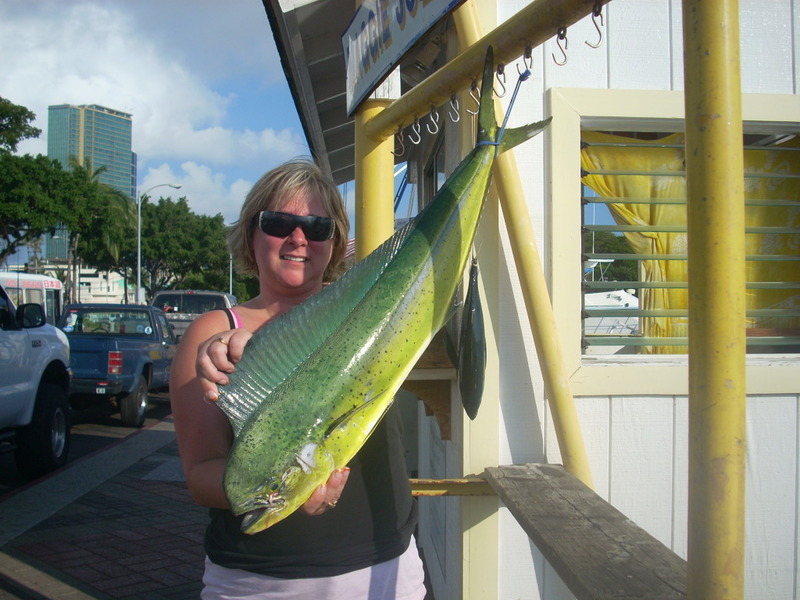 On 10/6/09 Debbie joined us for a day of deep sea fishing aboard the Sea Hawk and hauled in this female Mahi Mahi. On 10/7/09 it was Stephanie, Caleb and Craig’s turn aboard the Sea Hawk. 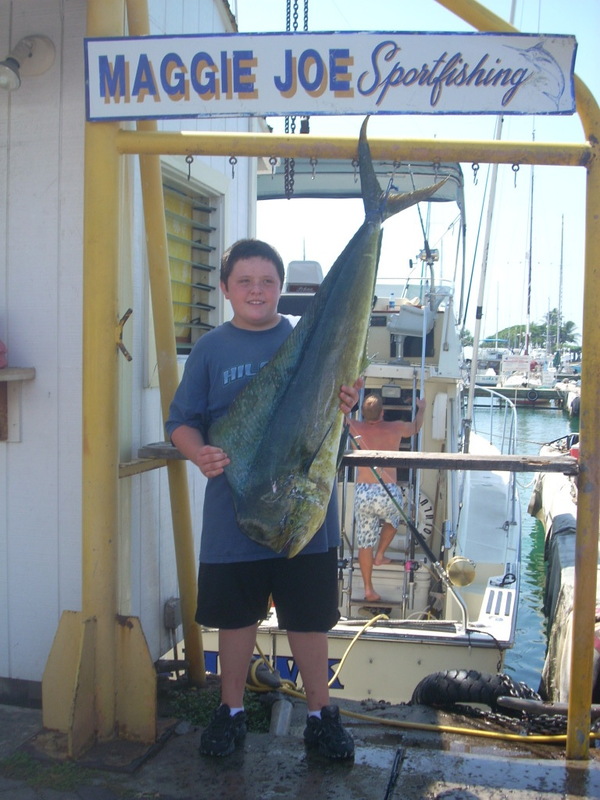 Caleb mastered the rod and reel to bring in his first Mahi Mahi. Mahalo to all and enjoy the tasty treat! 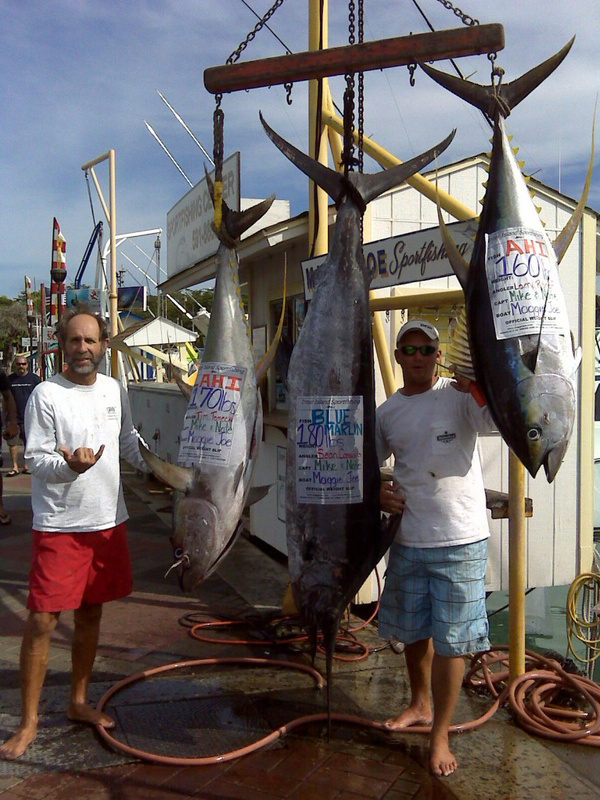 Both promotions are good on all charters booked before the end of the year (12/31/09). Please speak with your Maggie Joe Sport Fishing representative upon booking regarding online to place order for soda pop. 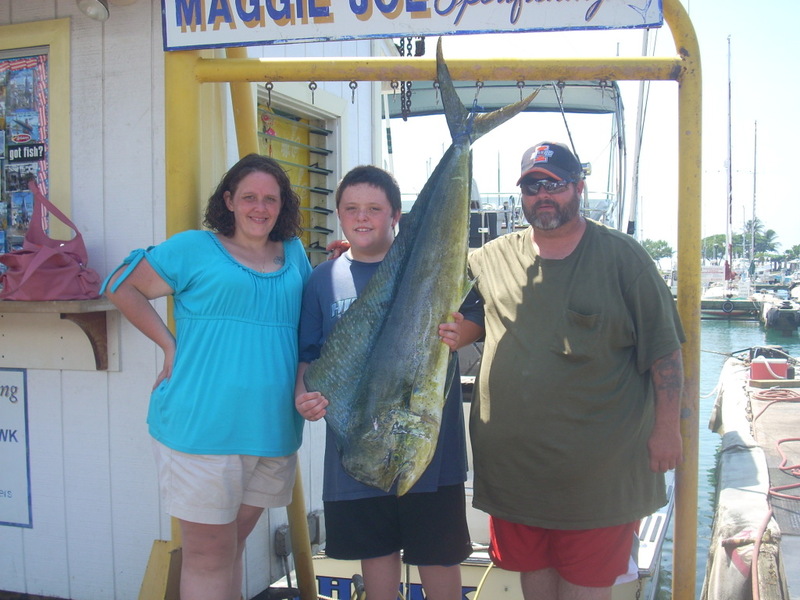 Free Maggie Joe t-shirt will be awarded at Maggie Joe booth upon return from fishing trip. 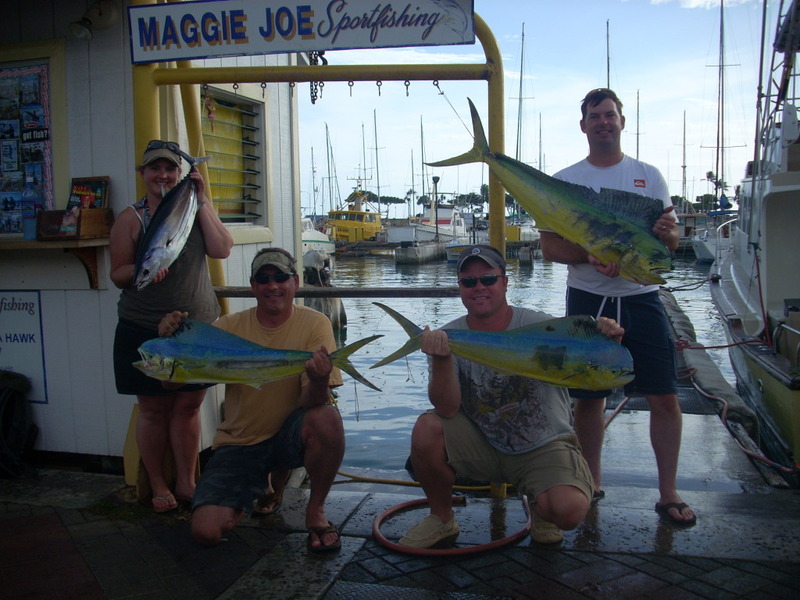 Posted in Deep Sea Fishing, Gallery, News, Promotions | Comments Off on Maggie Joe Promotions! We enjoyed having Larry, Sean and Tim aboard the Maggie Joe on 10/2/09. 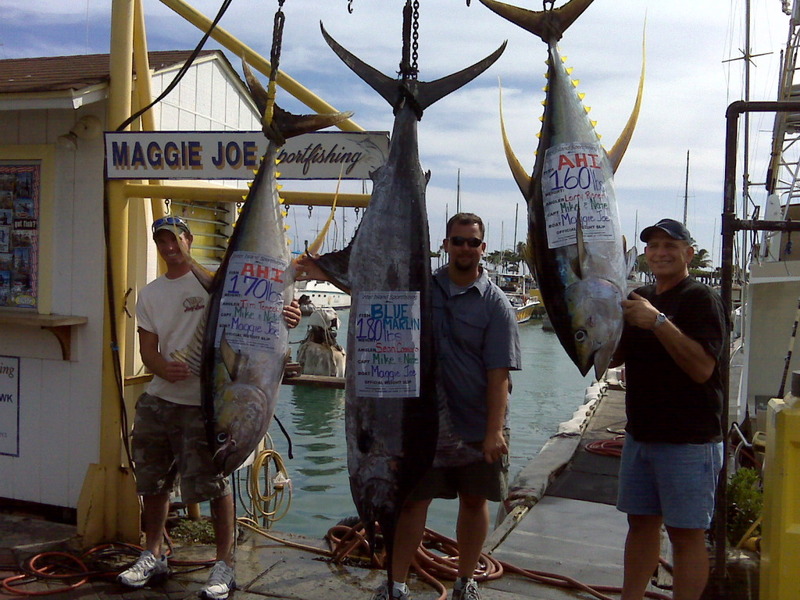 While fishing off the coast of Honolulu, Hawaii the three were able to haul in a 180 lb Pacific Blue Marlin and a pair of nice size Ahi’s. Mahalo guys!